I believe that learning to read music is an important part of becoming a musician. However, there are those who will point out that many wonderful musicians do not read music. I freely admit this is true, but there are also many great musicians who do read music. Let’s equate a wonderful musician to a fantastic storyteller. I’m sure that there are many fantastic storytellers all over the world right now that do not read or write language, yet still deliver a captivating tale. Their skill does not rely on reading or written language; it relies on an intriguing delivery of the message. A musician can learn to deliver an intriguing message through their instrument with practice and experience. This is regardless of whether they learn their music by reading or some other means. Some even believe that reading music hinders creativity or “originality.” This idea is prevalent in popular music lore. Even Sir Paul McCartney famously fears that learning to read music would interfere with his writing of music. I once even bought into this notion myself and resisted reading music through much of adolescence and early adulthood. If we listen to music do we care if the musician is literate? I don’t, I just like the music I like. Today I find that reading music and understanding music theory makes it easier for me to be creative. 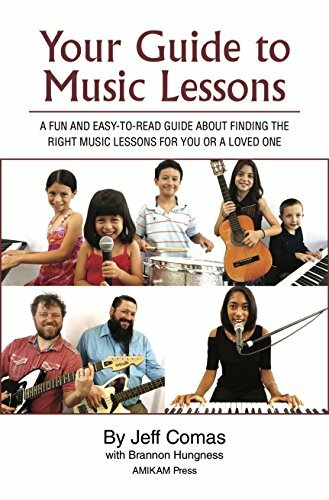 So why go to the trouble of learning to read music? Those of us that love to read stories and books know that reading and writing have not stifled the creativity of our favorite authors. Playing music on an instrument is like telling a story. Reading music is like reading a story aloud. Music notation is a way for one musician to write a musical story that another musician can read and tell to others. Long ago, I came to think the idea of musical literacy as a hindrance to creativity as utter nonsense. Today I find that reading music and understanding music theory makes it easier for me to be creative. By the way, I think many are somewhat intimidated by the term “music theory” but it is really just an organizational tool. As I played with more and more musicians, it became apparent to me that my musician friends who did read music were not uncreative. In fact the “educated” musicians tended to be just as creative, plus they generally played better and articulated their ideas more clearly. Some were even willing to teach me about things like music theory, and I became increasingly intrigued. Eventually this led me down a delayed path to college and the serious study of music (I dropped out of engineering school to play music at 19 years of age). It boils down to this: the skill of reading and writing music notation allows musicians to more clearly understand what they play and to communicate with each other. Okay, why don’t all musicians learn to read id it’s so beneficial? Well, a variety of issues surround the topic. As mentioned earlier, reading is not the only way to learn music; if you play an instrument enough you will become proficient. Most performers of pop music perform without written music and play from memory. Also, unlike the skills of reading and writing language, reading and writing music is not necessary in our modern society. Thusly, reading music is not a requirement in most school systems. Furthermore, the challenges of learning to read music vary with a student’s age, their learning style, and the commitment of the student and/or parent to learning. The skill of reading and writing music notation allows musicians to more clearly understand what they play and to communicate with each other. I believe all people should learn to read music. I have witnessed first-hand how learning to read music helps children (and adults) develop their cognitive abilities, improve their understanding of concepts such as time and space, pitch, volume, conservation, division and multiplication, and increase their attention span. To me it’s a vital part of music. So how is all this related to getting the most out of practice? If you understand why reading music is beneficial it is easier to commit to learning. Children need their parents to commit to assisting the process. If you are committed, frankly, it is easier to learn. As with most learned skills, brief but frequent practice tends to be the best and easiest learning method. Next time in Part 2 of this chapter, we’ll discuss how age relates to learning to read music. Till then, let it be easy. Jeff Comas is a musician, educator, and entrepreneur. A professional musician since 1980, and an educator since 1989. He has given over 40,000 music lessons to thousands of students. I want to warn you that contents of this article may provoke some uncomfortable thoughts. However, if you love your children (and I know you do) I urge you to read on. After all, every parent is concerned about their chi . . .
“The effect of music on our bodies” has been a topic of scientific studies for a very long time. We all remember listening to our favorite singer or band for extensive hours and how it lifts our mood and cheers us up. Th . . .
Last month we talked about your child pursuing music education in college and/or pursuing a career in music. I mentioned that there are basically three types of formal music education programs: the traditional university . . .
A question I often hear from parents this time of year is- “Should my child major in music, in college?” When I hear this question, it usually means that their child is 17 or 18, college is looming just ahead, and it’s t . . .
Dynamics (the volume of the music played), . . . I commonly ask music students what they think they need to do to improve their performance of a certain piece of music. The common response is “practice more.” While more practice may be part of the solution, it is defin . . . Since 1989 when I became a music educator, I have worked with many hundreds of children and adolescents. While I hold no specialized certification outside of my license as an instructor of the Childbloom Guitar Program, . . . Most of us have had the experience of hearing/seeing a fantastic musician perform, and thinking that he or she made it look easy. Chances are that it actually was fairly easy for the performer. Why was it easy? Because t . . .
As I mentioned previously, I believe all people should learn to read music. I have witnessed how learning to read music helps children (and adults) develop their cognitive abilities, improve their understanding of concep . . . If readers have been playing close attention, you might have noticed that last time I said “Next time we’ll talk dynamics.” Well, it’s that time, but I decided to add the subject of timbre to this article. Lets again re . . .